Our plan would help the least-wealthy parents improve their children's lives rather than just give rich people more tax breaks. The tax law that President Trump signed in 2017 left behind millions of low-income families with children. Republicans rigged it to pad corporate profits and confer massive windfalls on the wealthiest Americans and their heirs while leaving out 26 million children and their families who were mostly excluded from the law’s increases in the Child Tax Credit. At the same time, they made families with incomes of as much as $400,000 eligible for a child tax credit of $2,000 per child — including members of Congress themselves. But a single parent with two children working full time at the federal minimum wage will receive an increase of only $75 — or less than $1.50 per week. This egregious policy choice is particularly harmful now at tax time. A Fortune 500 company hired me to help them be more family-friendly. Then my own kid got cancer. That is not right — not for the middle class and not for those seeking to get into the middle class. We must instead strengthen and expand the credit for those families who most need it. That is why we are proud to support the American Family Act, which Democrats in Congress introduced earlier this month. The bill would strengthen and expand the child tax credit to $3,000 for children ages 6 to 17 — a 50 percent increase upon current levels — and create a new Young Child Tax Credit equal to $3,600 per year for children under 6 years of age, for families who need it most. We know that for families in need, stronger tax credits work: A new report by the National Academy of Sciences identified an annual child credit of $2,700 as the single most effective solution for lifting children out of poverty in the United States. And, the American Family Act would reduce the number of children living in deep poverty by almost half and help millions of middle-class families afford the rising costs of child care, health care and housing. It does so in three other critical ways. First, the legislation would make the credits fully refundable by decoupling the child tax credit from income entirely. Today, there is an income threshold needed to obtain the credit, which means that wealthy families receive credits that are substantially larger than middle-class and low-income families. By removing this income threshold, we allow those most in need to receive the full credit. This is especially valuable for middle class families who have experienced job loss, severe illness or disability — those who had been working full time, but fell below the income threshold. It means that families who pay less in taxes than the $3,000 and $3,6000 credits would still be able to receive that full child tax credit. Making this change also brings our credit in line with those provided by other developed nations around the world. Second, the American Family Act would provide the tax credits as an advance monthly credit, instead of a lump sum received after filing their taxes. Families with children face continuous costs throughout the year — diapers, formula, child care, you name it. Not just during tax season. The American Family Act also would index the credit to inflation, as we do with Social Security payments. To fully help children and their families, the value of a tax credit must rise with the cost of living and the actual costs of raising children. Our government has a responsibility to help middle-class families who are struggling, and those struggling to enter the middle class, especially during the critical years of development for children. It is important for our children. Study after study has shown that the first few years of a child’s life are essential to their long-term outcomes. And it is for our nation. Every year, child poverty costs the United States as much as $1.1 trillion, considering factors such as lost adult productivity and increased expenditures on health care. We urge the Congress to pass the American Family Act. The alternative — turning a blind eye to the needs of low-income and middle-class families and children — is far too expensive and irresponsible to consider. 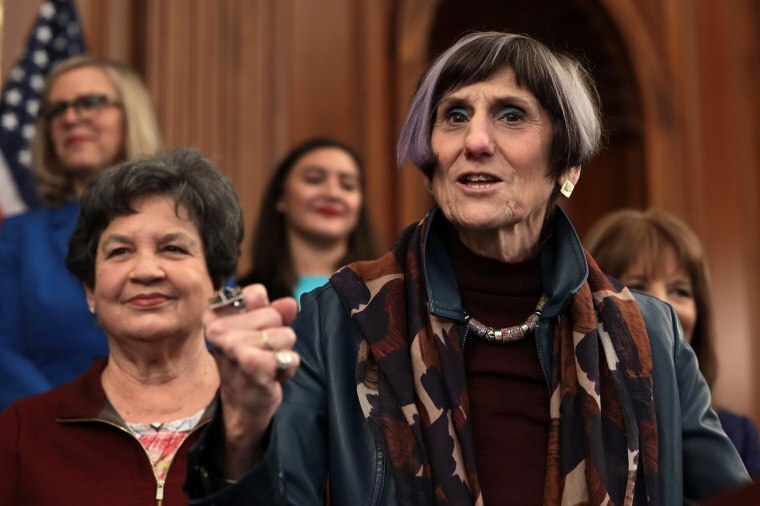 Rep. Rosa DeLauro represents Connecticut's third Congressional district. Neera Tanden is the President of the Center for American Progress Action Fund.